About two weeks ago, I got a really cool email. The people at Wholly Guacamole had read my posts where I mentioned being a fan and they wanted to know if I was interested in trying out their two new flavors. It took me approximately .008 seconds to decide the answer to that was a loud YES! Hatch Chile – a combination of Hass avocados (obviously), hatch chiles, jalapenos, cilantro and garlic. Three Chile – hatch, jalapeno and poblano chiles mixed with avocados and spices. 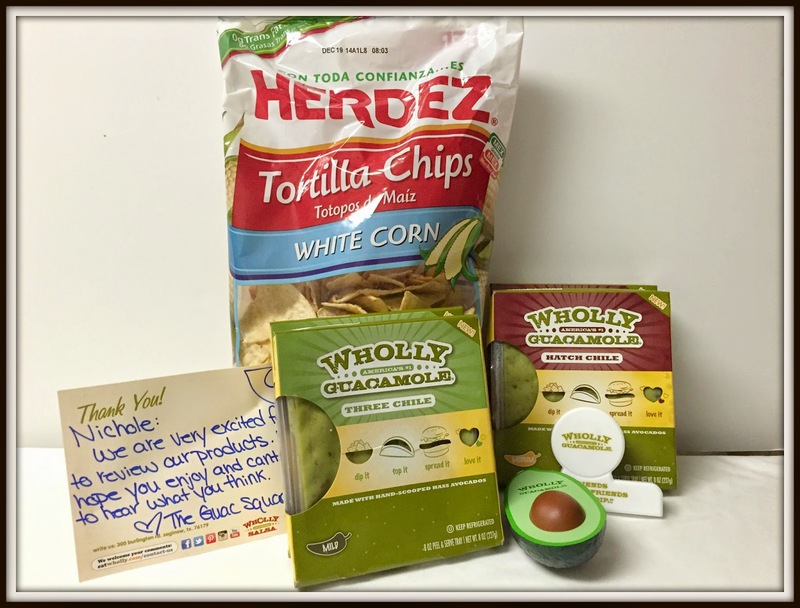 Along with two samples of each flavor, the wonderfully people at Wholly Guacamole also sent me a bag of tortilla chips (quite necessary), a chip clip (anyone else lose these on the regular? ), a squishy avocado (confession: I like this almost as much as the guac) and a handwritten note! The temptation not to immediately consume a packet of guac was harder than you’d think. Now I had the daunting task of what to make. I actually couldn’t decide between two, so please check back tomorrow for another recipe featuring Wholly Guacamole. 1. 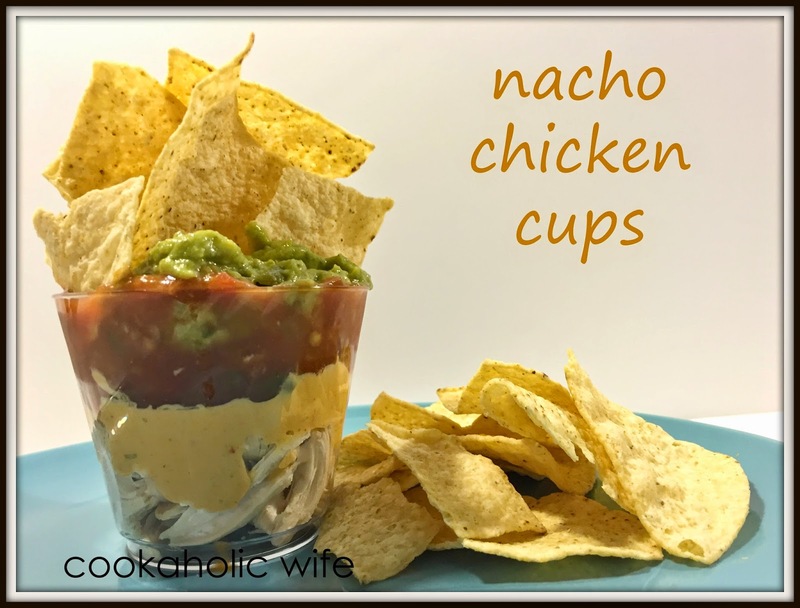 Layer the chicken, cheese, salsa and guacamole in a small dish and top with tortilla chips. And a super huge thanks to the people at Wholly Guacamole, for finding my blog among the gazillions out there with many more followers than me and giving me the opportunity to try out a new product! Also – if I have any Paleo or Whole 30 readers out there – Wholly Guacamole is one of the few brands I have found that are both Paleo AND Whole 30 compliant. Check out their ingredients list – it’s all recognizable and pronounceable! Updated to add in the nutritional information since they so kindly sent that over to me! Disclaimer: I received no compensation for this post, only the box of goodies shown in the first picture, in exchange for posting a recipe using a Wholly Guacamole new product. All thoughts are my own. 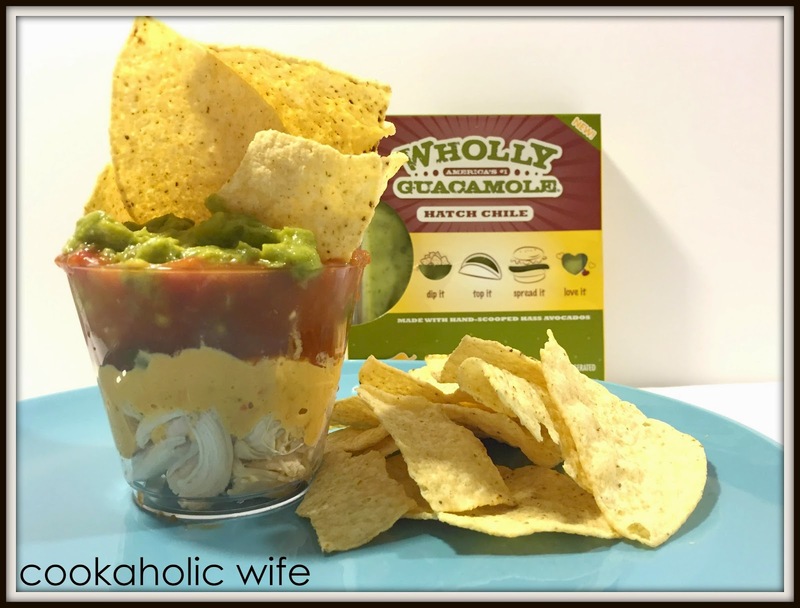 Wholly Guacamole: Halloween Brain Dip & A GIVEAWAY!